This pattern is available from interweave.com for $24.95. 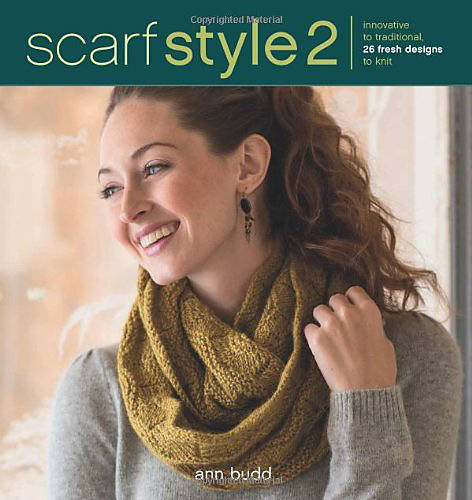 For this reversible scarf, Melissa J. Goodale worked the cable stitches in a k4, p4 rib pattern so that the knit stitches would stand out on both sides of the fabric. Melissa began the scarf with a tubular cast-on at the neck edge that flows into k2, p2 rib and finished it with a bit of k2, p2 rib and a tubular bind-off at the shoulder edge. 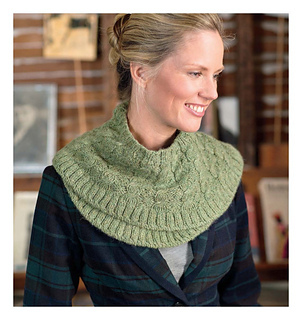 Increases worked before the first row of the cable pattern and again after the last row result in a crescent shape that stays put around the neck and shoulders.